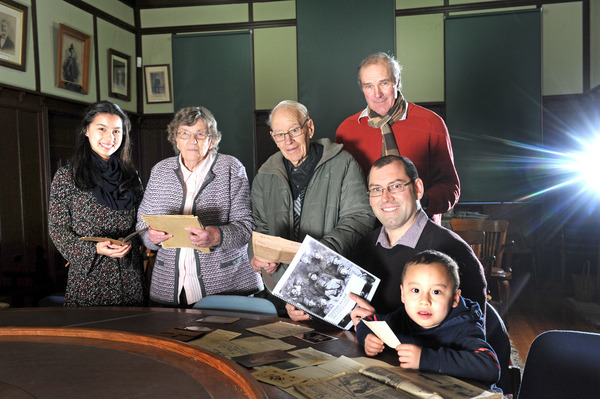 A cash injection to the Berwick-Pakenham Historical Society has paved the way for Pakenham’s World War I stories to be memorialised in print. The Society has successfully secured an Armistice Centenary Grant, under the Australian Government’s Anzac Centenary Program. As a result, local historian Patrick Ferry’s upcoming book, ‘A Century Since the Guns Fell Silent: Remembering Pakenham’s WWI Volunteers’ will be published. 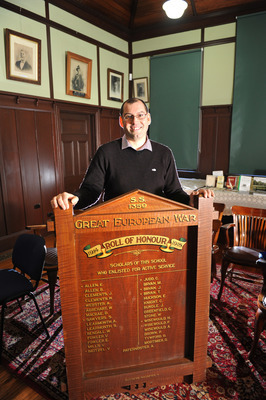 The Berwick-based archivist has been working on the book for the past year, documenting the stories and experiences of locals involved in the war as a way of remembering and honouring their service. The 300-page book will honour the WWI volunteers named on the Pakenham & District War Memorial, Pakenham South War Memorial, Pakenham Upper Roll of Honour and three local school honour boards. “The main focus throughout are the profiles of the local WWI volunteers listed on the war memorials and rolls of honour,” Mr Ferry said. “I’ve got the profiles drafted for 130 of the 140 volunteers named on the memorial and have been able to contact a number of the families who have been generous in providing additional information and photos. Mr Ferry said the A4-sized book will be littered with illustrations and photographs. He said social media has been instrumental to the success of his research. “When you enlisted in the war they didn’t ask for your address – only where you were born and your next of kin. “So for many of them, there’s nothing on file that connects them to Pakenham. There are still ten unidentified names: FW Cook, W James, JF Maher, W Pace, C Pritchard, P Robertson, D Shillito, C Knight, V Mills and J Rundle. If anyone has any leads they can email Mr Ferry at LPVFERRY@gmail.com.